FAIRHAVEN — BASK — formerly known as Coastal Compassion — will open the SouthCoast’s first medical marijuana dispensary next Thursday, Feb. 15. Over the past two weeks, the dispensary has been accepting appointments during what President of the Board Tim Keogh referred to as a “soft launch,” and will continue accepting appointments both today and Saturday. Moving forward, the official opening will feature extended hours of operation — 10 a.m. to 6 p.m. — Thursday through Sunday. The dispensary has had state approval to commence sales since the end of December. Since, the transition from Coastal Compassion to BASK happened, along with preparations for doors to open. During this time, employees were commencing mock sales, curating and receiving packaging, as well as pre-packaging the product for sale. “In the last month we’ve gone through the branding, the logo, the color scheme, into a format that’s compliant with state packaging, out to the printer, back in from the printer, on to packing, so there was that whole piece,” said Keogh, before detailing more of the process, which included getting the website ready for launch and gathering patient education materials. 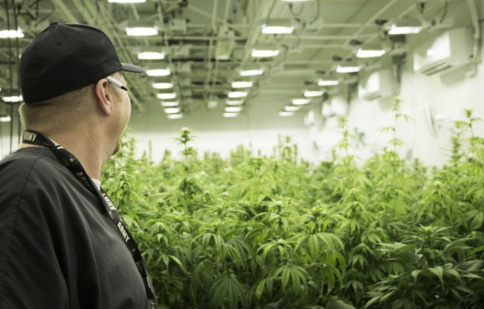 Aside from some wholesale edible or topical products, all cannabis is grown in-house at BASK. According to the dispensary’s website, the menu will change daily and feature options including the cannabis flower, pre-rolled joints, edibles, and rosin.